Asus has two clear goals in mind with its laptop range – value and choice. The brand has made it its business to offer a broad selection of laptops to consumers at prices that are bound to attract attention. That’s not to say that Asus has neglected the premium market. Its ZenBook range can hold its own against other laptop brands, and features innovative new technology – this includes the ScreenPad, which replaces the traditional touchpad with a second, smaller screen. If you fancy something cheaper, then the Asus C203SA offers you the full Windows 10 experience for less than 200 bucks. We take a look at the key series that Asus offers, and help you decide which one to go for. Which is the Best Asus Laptop? Should you buy an Asus Laptop? If there’s one thing that Asus doe well, it’s offer variety. Check out the company’s range online, and you’ll soon see that it spirals into the hundreds. Verdict This series puts design above all else, and is elegantly slim, but doesn’t ignore specs, with powerful processors and graphics cards available. Asus’s range for everyday use, the VivoBook range may not have as much style as the ZenBook, but these are hardy workhorses that are set up for the day to day. Designed with business users in mind, the AsusPro line-up offers lightweight laptops for portability, as well as additional security features for when you’re on the road. The ROG range is designed with gamer in mind, boasting powerful processors and graphics cards that can handle the latest games, all packed into a laptop. Half laptop, half tablet, the Transformer series have a detachable display that can be used as a Windows 10 tablet, and come with a stylus. For those that don’t want Windows, Asus offers a range of Chromebooks, starting for less than $200, which are quick starters with great battery life. Asus are neck and neck with rival Acer when it comes to market share, both holding around 6% each. The similarities don’t end there, though, and just like its fellow Taiwanese competitor, Asus has built a reputation for making entry-level and affordable laptop ranges. Even its more premium models are well-priced compared to competitors. Asus laptops are solidly built, and have a reputation for being reliable. 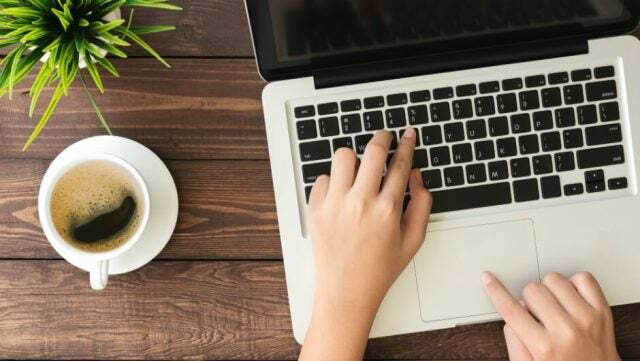 The brand may not have the status of a long established American laptop manufacturer like Dell or HP, but it’s worked studiously to provide models to the market that represent great value, while still proving reliable. The Zenbook series is Asus’s flagship laptop line-up, comparable to the MacBook or Dell’s XPS range. Sleek, stylish, and stuffed with specs, these are top of the line models designed for those with demanding needs – and an appropriate budget. The ZenBook range incorporates several different series. These include the ZenBook Flip, which is the Asus take on the 2-in-1 laptop, and the ZenBook Pro, which is the peak of Asus’s laptop offering, equipped with powerful processors up to an Intel Core i9. 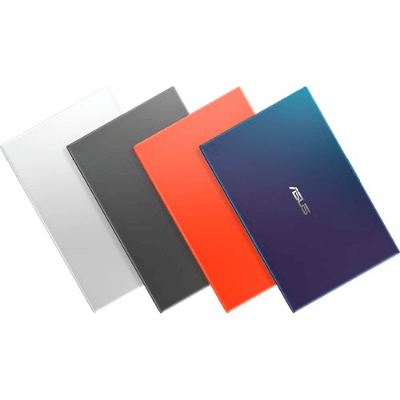 The Zenbook range has also been the beneficiary of Asus innovation in the pass, tending to be the first to receive the latest tech from the brand before it filters down to other models. A recent example of this is the ScreenPad, Asus’s answer to Apple’s TouchBar, which replaces the traditional touchpad with a small screen. If we were to criticize the ZenBook series for anything, it would be that some models are lacking in ports. With the drive to create some exceptionally slim models, there isn’t always room to include all the useful connectors that consumers might want. Asus ZenBook Pro 15 – A stunningly designed laptop with a hugely powerful Intel Core i9 processor running the show, as well as an NVIDIA GeForce GTX 1050 graphics card. It also features that impressive ScreenPad. Asus ZenBook 13 – If you’re after slim and sleek, here it is. Purported by Asus to be the world’s slimmest laptop, this diminutive powerhouse breezes through your work and can slip into an envelope. The VivoBook series is essentially Asus’s midrange option. They’re not quite as lovingly designed as the ZenBooks, and not always packing the sheer power, but are still a great option for those who prioritize value. There are some great options too: The VivoBook E203 may be a diminutive 11.6-inches, but it offers you the full Windows 10 experience for less than 200 dollars. 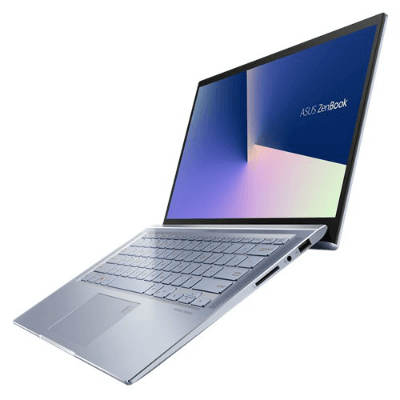 Like the ZenBook series, VivoBook incorporates several different series, including the Flip models, which allow the touch screen to be folded 180 degrees to double as a large Windows tablet. Specs wise, the VivoBook series runs the gamut, offering everything from low powered Celeron processors to Intel Core i7s. You can even find some models with dedicated graphics cards towards the pricier end of the range. These top end models also tend to offer 4K displays, too. It’s something of an all encompassing range, with a laptop for pretty much every need – but of all Asus’s options, this is the one where you’ll find the best value (unless you don’t want Windows, in which case you’ll find some bargains in the Chromebook range). Asus VivoBook Flip 14 – Asus’s Flip models have the ability to fold their displays all the way back, and this 14-inch model is no exception. Available with an Intel Core i7 processor, it also supports the Asus Pen, for onscreen scribbles. Asus VivoBook E203 – At just $200, this 11.6-inch Windows 10 is something of a bargain. Specs are modest, but for the price, it’s hard to complain. As the name suggests, the AsusPro range of laptops is aimed more at the business user than your typical consumer. With this in mind, the AsusPro models tend to be impressively thin and light – perfect for slipping into a bag before a meeting, or catching up with emails on the train. The range is robust, with some models boasting that they meet military grade standards. If you’re wondering what this means, what you’re getting is a laptop that is tough as nails. They’re subjected to harsher durability tests than standard laptops, including robust drop and pressure assessments. This translates, in theory, into a laptop that won’t suffer too badly from the odd knock or tumble. Battery life tends to be very good on the AsusPro series – again, great for anyone who is spending a day out of the office and needs a reliable laptop that won’t fizzle out near the end of the day. AsusPro B9440UA – An impressively premium model, this super slim laptop packs in a ten hour battery life and also has a fingerprint sensor as an extra security measure. AsusPro P1440 – With an Intel Core i7 processor, and a combination of 1TB hard drive and snappy 256GB SSD, this is a great choice for professionals. It also has a DVD drive, something of a rarity today. If you’re a hardened gamer, then you should turn to the Asus Republic of Gamers (ROG) range, which is specially designed with gaming in mind. The series offers high-end specifications, as you’d expect, with dedicated graphics cards and high powered processors provided as standard. Design wise, Asus has managed to squeeze these components into some slim frames, and the ROG Zephyrus S claims to actually be the world’s thinnest dedicated gaming laptop. It’s a far cry from the traditional bulky designs from the likes of manufacturers such as Alienware, whose angular monoliths seem barely portable by comparison. The series ranges from 15.6-inch models all the way to a massive 18.5-inch screen display, belonging to the ROG GX800VH. If we’re talking serious gaming kit, this model wins hands down, with its dedicated liquid-cooling dock. With the Asus ROG range, you can expect plenty of ports, dedicated graphics cards, 4K displays (on some models), and RGB keyboards. 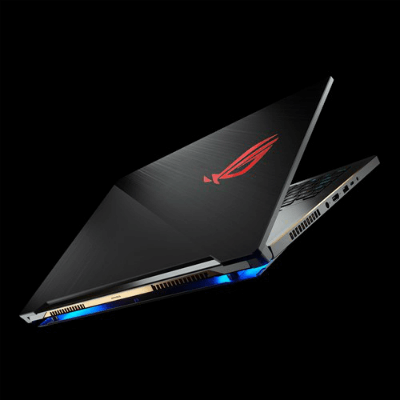 Asus ROG Zephyrus M – Proof that gaming laptops don’t have to be bulky, the ultra-slim Zephyrus features a GeForce GTX 1070 graphics card and Intel Core i7 processor. Asus ROG GX800VH – At the other end of the scale, this gaming laptop – with its special liquid-cooled dock – isn’t going to fit in your bag. With an NVIDIA GTX 1080 graphics card and 4K display, you probably won’t want to leave the house anyway. Asus’s Transformer series has a neat trick up its sleeve – the screen pops off to work as a standalone Windows 10 tablet. While the company makes plenty of so-called ‘2-in1’ laptops, which enable the display to fold back 180 degrees, these allow you to ditch the keyboard altogether, making it a far more tablet-like experience. If you want to use it as a laptop again, it’s simply a case of attaching the keyboard. The good news is that these models aren’t prohibitively expensive, either. The Asus Transformer Mini T103 will cost you less than $400, which isn’t a bad deal for a laptop that doubles as a tablet. Granted, its Atom Quad Core processor doesn’t have the raw power of something like the Apple iPad, but for casual users who like the flexibility of a hybrid device, it’s a decent compromise. The Transformer models also come supplied with a stylus for drawing and writing on the display – something that more expensive brands (we’re looking at you, Apple and Microsoft) will charge you extra for. Asus Transformer Mini T103 – Its specs may not impress, but its price and flexibility will. Asus even has the decency to throw in a stylus. If you want a break from Windows, or are simply after a laptop on a budget, then the Acer Chromebook series could be a suitable alternative. Most brands offer these cut-price models, which run on the Chrome operating system. This depends heavily on the cloud for storage and applications, and as such, they tend to come with very little storage. Chromebooks are typically inexpensive and have excellent battery life. Models like the Asus C202SA, which comes in at around $200, are no exception, and boast 10 hour battery life. The C202SA is also solidly built, with a robust chassis and rubber wrapped edges. If that doesn’t cut it, Asus also makes some more premium Chromebooks. These include the Asus C302CA, which retails for around $500, but offers a flip back touchscreen as well as a more powerful Intel Core m3 processor. Still not convinced by a Chromebook? 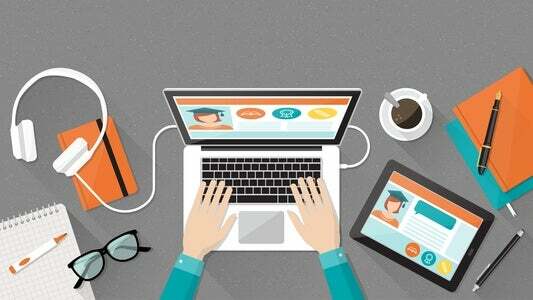 See our guide, Chromebook vs Laptop – Which Should You Get? Asus Chromebook C202SA – At around $200, this chromebook is great value, and has a toughened chassis as well as being water resistant. Asus Chromebook C302CA – A pricier alternative, this model’s Intel Core processor means it can do more heavy lifting than its cheaper brother. Asus offers plenty of choice. Whether you need a high-end laptop for creative work, a gaming rig, or a simple Windows 10 machine for a few hundred dollars, the brand can accommodate you. 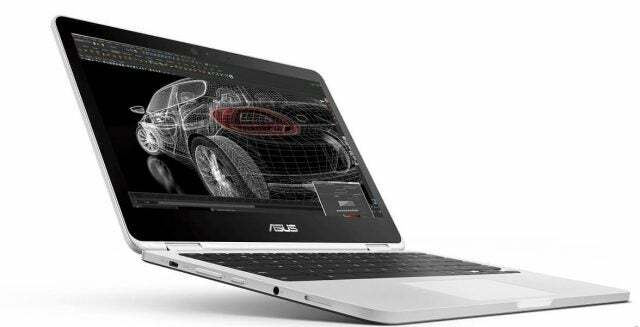 With its wide range of models, coupled with its competitive pricing, there’s little reason to overlook an Asus laptop.